Can we take a moment of silence for these black leather gloves?! Ladies, and some gents, you can also get yourself a pair of these chic gloves at Woolworths at only R160, available in black, maroon, navy blue and whichever colour you desire. The thing about gloves is that they can elevate any look to the next level, I mean look at @DJZinhle, don’t you just die for that look?! I know you do. 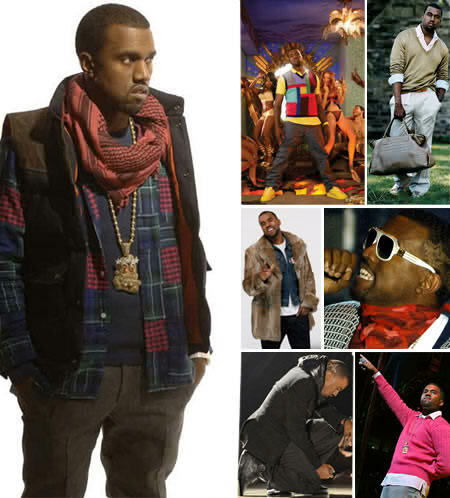 Equal parts preppy, retro hipster and ghetto fabulous, Kanye West’s savvy style is 100% cool. Notorious for his often controversial antics and his one-of-a-kind style, Kanye West is evidently not a man who’s afraid to stand out from a crowd, so to dress the West way, you’ll need to cultivate your individuality and adopt a serious dose of attitude. According to the music mogul, one quick way to avoid dressing for the occasion and fitting in with everyone else in the room is to “dress like you’re coming from somewhere and you got someplace to go.” And as evidenced by his vast and varied wardrobe, Kanye West clearly heeds his own advice. Satin blazers, suits and crisp dress shirts paired with funky, futuristic-looking high-tops comprise much of his red-carpet attire. Elsewhere, the famed rapper has been spotted clad in polo shirts, cable-knit sweaters, fur, and ‘70s- and ‘80s-inspired sportswear. Other than mixing it up and following your own rules when it comes to style, one additional lesson all men can learn from Kanye West is to not be afraid of colour. From lime green to pink, violet and electric blue, this musician frequently uses pops of bold colour to liven up his distinctive look. His standby accessories include big, chunky gold necklaces and unusual eyewear. To add a touch of Kanye West’s fresh style to your wardrobe, try sunglasses which are basic enough to pair with everything you own, but have enough kick to give your ensembles an edge.